The Environment Protection Authority (EPA) Victoria has fined 7-Eleven more than $7, 700 for failing to remove hydrocarbons from groundwater beneath a Newport premises in a timely manner. EPA Metropolitan Region Manager, Daniel Hunt, said EPA officers discovered the fuel residues at the site following a report to EPA’s Pollution Hotline. “An EPA investigation found what has been analysed and appears to be weathered petrol, in groundwater at and in the immediate vicinity of the premises,” Hunt said. “During the investigation in February 2017 it was disappointing to uncover that 7-Eleven had known about the hydrocarbon issue at the site since it received a report in 2015, yet had failed to undertake any form of clean up,” he said. Hunt stated the EPA would issue 7-Eleven with a notice that required it to determine the extent of hydrocarbon contamination at and beyond the boundary of its premises, and undertake testing of underground fuel tanks and equipment for any leaks. “The notice also has a requirement for the company to provide EPA with an approved interim clean-up plan completed by an EPA-appointed environmental auditor,” he said. 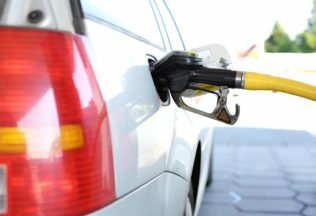 Hunt further stated that the EPA expected owners and operators of petrol stations to proactively take practical measures to protect people, property and the environment from potential leaks and spills of fuels, oils and hydrocarbons. “The design, installation and management requirements for underground petroleum storage systems have been available for a number of years now, and EPA expects owner-operators to undertake regular monitoring and rectify issues without delay,” he said. In response to the fine, 7-Eleven said it had only received an infringement notice from the EPA on Friday 26 May 2017 and that 7-Eleven is “still working through the facts”. “A response to the notice is not required until July, and it is open to 7-Eleven to contest the infringement,” 7-Eleven said. “We have already shared information with the EPA that shows the issue is not as clear-cut as it has alleged, and we are seeking further advice in relation to the matter. Recent testing suggests there could be other causal factors than what the EPA has alleged,” 7-Eleven said. “The EPA’s claim that we have failed to act upon the issue since first detected is incorrect. In 2015, 7-Eleven detected some levels of contamination but which did not warrant active remediation. 7-Eleven instituted monitoring at the site, and subsequent testing in late 2016 revealed that the levels of hydrocarbons were rising. Upon receipt of this report, we instructed our consultants to investigate further and to take appropriate remedial action, which is still in process,” 7-Eleven stated. “7-Eleven is disappointed by the EPA’s pre-emptive statement before the proper processes have been fully worked through,” 7-Eleven concluded.